I am sure all of us have at one time or another known or had an experience with someone with psychic ability. My family is full of relatives who have the 'gift' and seem to know what is going on in the family before they happen. I have a family friend who foresaw a family members murder, but could not stop it. She did however locate the exact location of the relatives body. She also prevented another family member from being attacked by a man who was posing as a salesman. She was in time for that event and was able to prevent the attack just in the nick of time. I have witnessed this psychic as well as a few others do incredible things which is why I believe in this ability. There is nothing like firsthand experience to form an opinion. 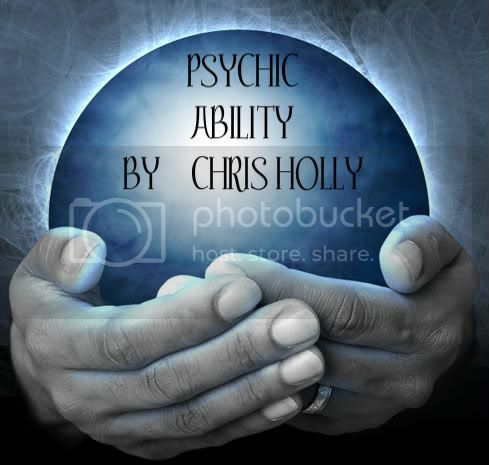 My opinion of psychic ability is that some of us are gifted in this extraordinary area. I am sure we once all had or could one day again control and use this ability but in today's world it seems a chosen few have this gift in useable form. I have been to psychic fairs where both gifted and fraudulent people gathering in order to sell readings to those seeking their advice. I watched a few truly gifted predict or know amazing things about people they did not know. I watched as a handful of the gifted were able to use their gifts to describe people they did not know, give names and warnings that they could not possibly have known beforehand. I had a very quiet shy woman tell me things I did not want to hear at the time about my life and family members all come true . To this day I do not know how she knew the things she did. The fact of the matter the warnings and future she predicted that day all came absolutely true. Unfortunately I also watched the majority of so called psychics give ridiculous readings which any one could have learned easily to do and collect money from the poor people who came looking for heartfelt true advice. To my regret the fairs I have been to have a few at best true gifted people sitting with a gaggle of false con artists which is sad for those bringing their hard earned money for some much needed advice on uncertain futures. In the world of psychic ability I think the best advice is the oldest -"Caveat Emptor" which is Latin for let the buyer beware! There are good solid psychics out there. Usually the fact they predict correctly gives them a reliable following. I think the ability of the psychic is tied to their advanced sense and tie in with time and all its levels. I think the psychics among us can recall yesterday, today and tomorrow as easily as we recall yesterday and today. The extra skill of these time jumpers is that they can recall other people’s pasts and see other peoples tomorrows. I have always considered this skill the art of time jumping. The psychics seem to be able to control all the dimensions of time the same as we control our two (past and present). I think with this advanced sense and skill comes the added art of seeing the time patterns of complete strangers as easily as their own time patterns. We all have intuitions. We feel fear or dislike a new person without cause. We stay home on a day we were meant to travel or hesitate and change our decisions without really knowing why other than we just had a feeling about it. Psychics have developed all these senses and abilities advanced beyond the ability of the average person. I think the ability to see the future as if it were the past or to see into another persons life and past is an incredible gift.. I wonder if we all once had this ability and lost it? Or is this ability a new skill starting long ago in humanity as a slow evolution of our future energy and abilities? Along with many other subjects we consider unknown sits the unexplained ability of the gifted psychic . One day when we open our minds and reach without restrictions to all the subjects we now consider paranormal we will understand why this gift is possible in some and not in others. I do believe we all have the needed equipment to see the future and understand the lives and events of people we do not know. It just is not time yet for us to turn on those abilities in mass as well as society not being ready to deal with something as massive as worldwide knowing. One day we will all she with all our eyes and all our senses. Until then we will have to spend our time weeding through the fakes and frauds so we can savor the truly gifted among us.